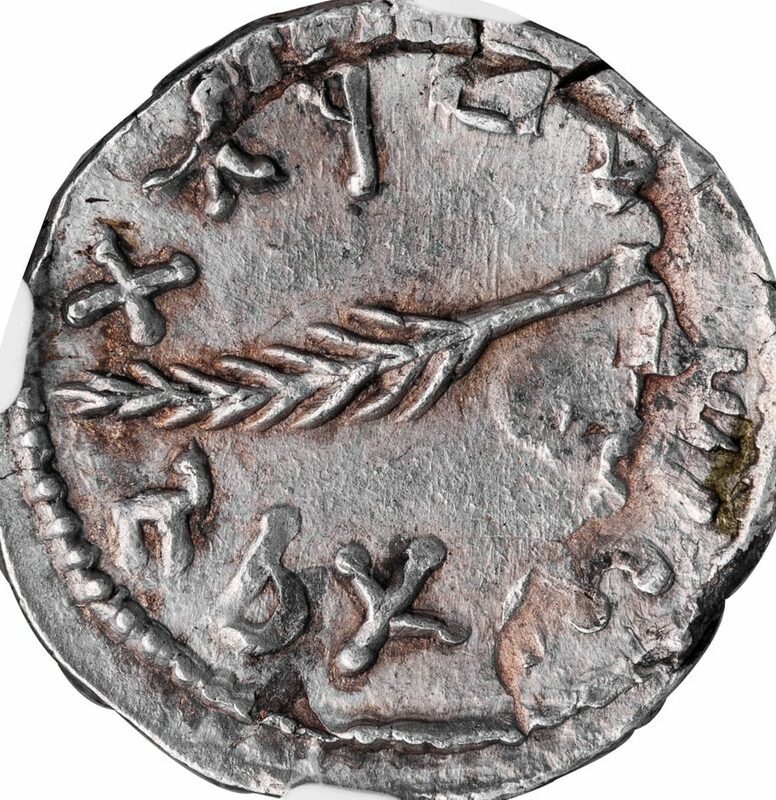 JUDAEA. 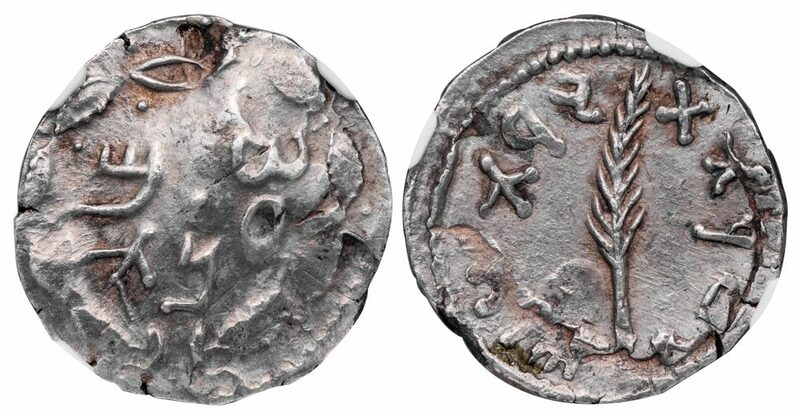 Bar Kokhba Revolt, 132-135 AD. Silver zuz, 2.73 g., 18 mm. Attributed to Year 3, AD 134/5 AD. Obv. [SIMON] bunch of grapes hanging from branch. Rev. [FOR THE FREEDOM OF JERUSALEM], palm branch. Mildenberg 136 (20 pieces cited); Hendin 1425. 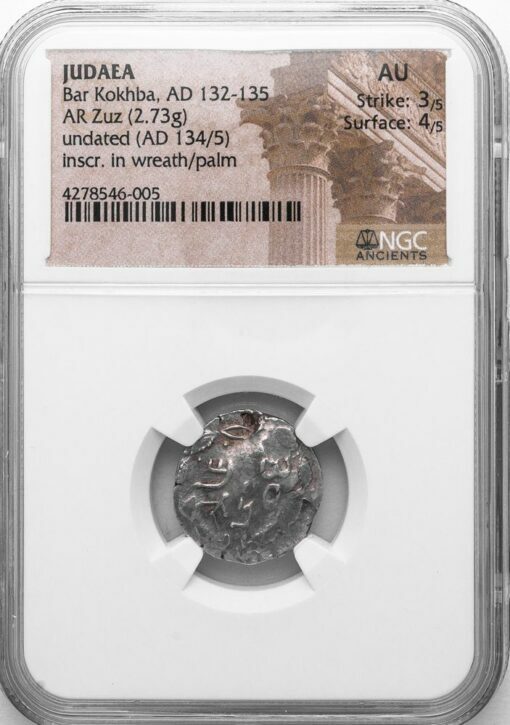 NGC graded AU, Strike 3/5, Surface 4/5, overstruck as customary on anther coin, possibly a Roman denarius of Vespasian whose flattened profile is still visible on the reverse.